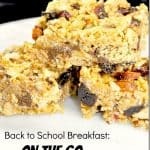 With school in full swing and morning routines a bit more rushed, I thought that it would be helpful to share a grab-and-go breakfast idea. 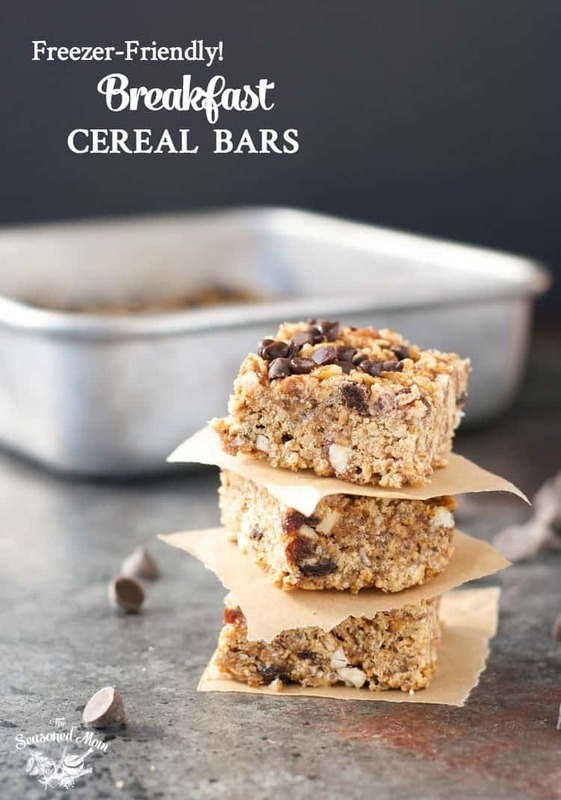 These Freezer-Friendly Breakfast Cereal Bars are not only delicious, but they’re also loaded with nutritious, filling ingredients! We always have basically the same 4 cereals in our pantry at all times. Keith eats Honey Bunches of Oats a few times each week, while about once each week the boys will have either Quaker Oatmeal Squares, Rice Krispies, or Honey Nut Cheerios. 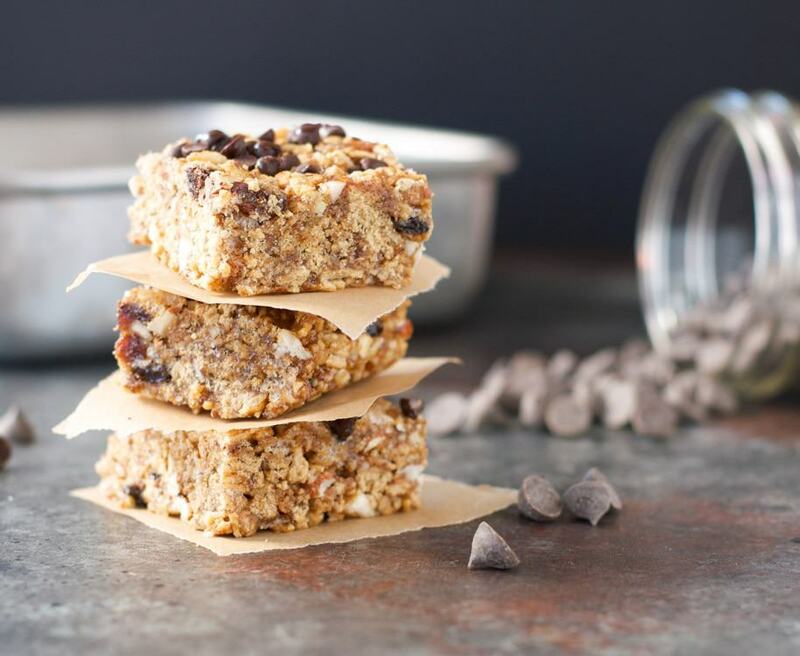 When I knew that I wanted to make some grab-and-go cereal bars to make mornings easy (but still tasty), I just reached for two of the kids’ favorites that I happened to have on hand: the Oatmeal Squares and the Rice Krispies. I added other nutrient-and-energy-packed ingredients like flaxseed, almonds, and dried fruit for a meal that would keep the little ones energized and sharp for their busy school days. You can customize these bars to suit your family’s taste – if your kids prefer peanuts and peanut butter instead of almonds, go for it! You can also try different cereals in the mix (Cheerios, Shredded Wheat, etc.). And if you like, add in a big handful of dark chocolate chips at the end. 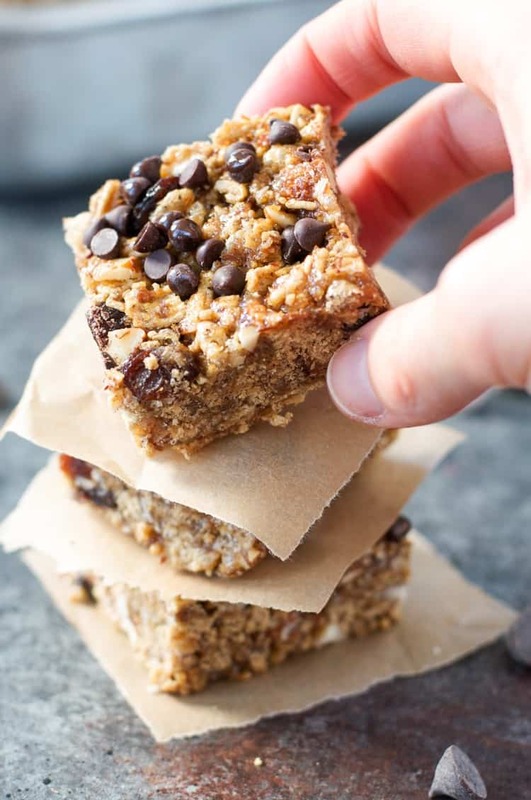 These bars will taste decadent and your little ones will never guess that they are full of healthy ingredients! In about 10 minutes, you can stir together this pan of goodness, which doesn’t even require baking. Allow the bars to set in the refrigerator for a couple of hours and keep them on hand for your busiest days. They stay thick, soft, and chewy on the counter for a few days, you can keep them in an airtight container in the refrigerator for about a week, or even wrap them tightly and stash them in the freezer. When it’s time to thaw a frozen bar or two, just leave it on the counter (or in the refrigerator) overnight. In a pinch, pop a bar straight from the freezer into the microwave on low power for a few seconds until softer. 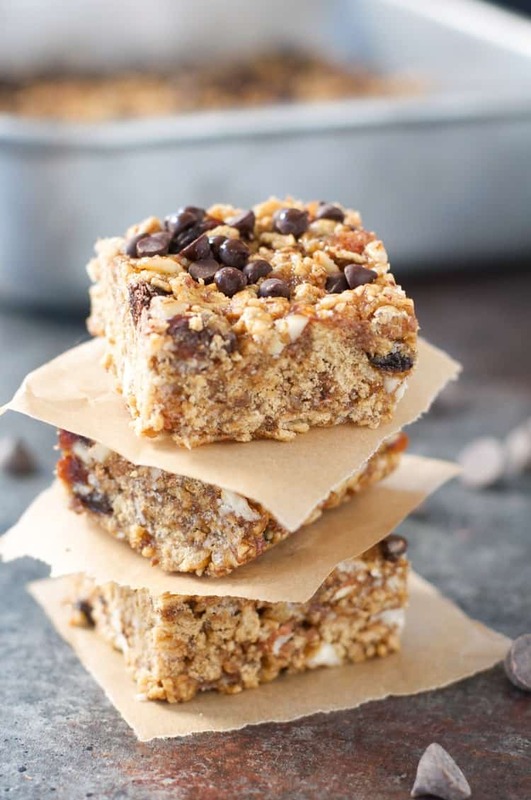 The chocolate chips will get ooey and gooey, and your family might just think that they’re eating dessert instead of cereal bars! Line the bottom of an 8-inch square baking pan with parchment paper and spray the pan with cooking spray. Set aside. Combine the honey, vanilla, salt, cinnamon and almond butter in a small saucepan and bring to a boil. Reduce heat to low and simmer for 3-4 minutes, stirring regularly. In a large bowl, combine cereals, flaxseed, wheat germ, almonds, and raisins. Pour the warm honey mixture over the cereal mixture and stir until well combined. Finally, add the chocolate chips and fold together (being careful not to over-mix and melt the chocolate). Spray your hands with cooking spray or use a piece of parchment paper to firmly press the mixture into the prepared pan. Chill in refrigerator for at least one hour, or until firm. Cut into bars. Thanks Blair! Planning on making these soon but hoping to be able to freeze them like you mentioned. When it time to eat, just pop in the microwave? Any defrosting? If you freeze them, I think it’s best to thaw them in the refrigerator overnight or on the counter for 30-60 minutes. If you don’t have time to thaw them, then you can microwave on defrost or lower power so that it doesn’t totally melt the chocolate. 🙂 Hope that helps, and enjoy!